The company was founded by Michael Anders, the man behind the outstanding skindrone.com website. I could have almost wrote the same paragraph myself 3 years ago when I decided to start this site. I took the route of testing every product out there – Michael decided to use his time to develop the perfect product. I genuinely couldn’t wait to put this treatment to the test. The oil comes in 30, 100 or 250 ml bottles and is silky, smooth, thin and clear with no discernible scent. I personally suffer from seb derm (scalp and facial), dry skin, rosacea and atopic dermatitis so decided to put the oil to the test for a two week period. In order to test this treatment, I decided to change nothing about my regime (other than use the oil obviously). I washed using the same face wash, used the same moisturizer and shampooed using the same shampoos. My regime is incredibly successful at controlling my scalp and relatively successful at controlling my facial seb derm. But I still suffer from bouts of over dry skin, occasional bouts of annoying beard dandruff and seb derm behind the ears. And rosacea. Rosacea has been my nemesis the past four or five years. So little is known about the condition. There are so few/no good products out there. Literally, nothing has worked in the past and a year or so ago I just quit trying to control it and apply a tinted moisturizer to mask my redness instead. I didn’t have high hopes for the rosacea. My routine was simple – in the evenings I would, as directed, wash my face using water, wait for it to dry and apply the oil to the affected areas. In my case, this meant all over my face, my beard and behind my ears. As directed, I waited for my skin to absorb the majority of the oil and slept. My immediate reaction to using the oil was how easy it was to apply – it’s a thin oil with an incredibly silky texture. By the end of the two weeks, I had no symptoms of seb derm in my beard or behind the ears. My facial seb derm was gone. Totally gone. The dryness of my skin has improved substantially too. And most amazingly was my redness. My skin was (and is) a relatively normal color again. For the first time in almost a decade, my rosacea is under some sort of control. Note, my rosacea is the mildest form of rosacea – Erythematotelangiectatic Rosacea to be precise – the symptoms of which are “just” skin redness. But the redness is all but gone – if I were to quantify it I’d say 80% of the redness has gone. So much so that I’ve lost count how many friends and family have commented on it. I just had to examine the ingredients to see how it works. There are only 4 listed ingredients in BIOM8 Skin Conditioning Oil. I love a less is more approach to any treatment formulation so I was delighted to see so few ingredients in there. 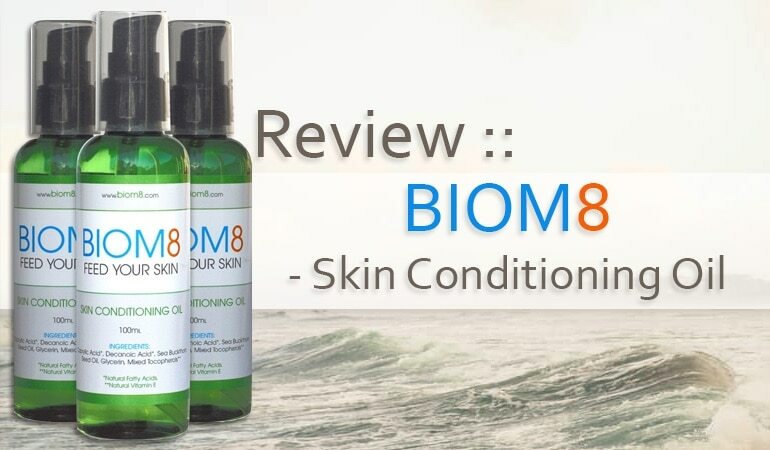 I was surprised to find that BIOM8 Skin Conditioning Oil does not contain a medically proven anti-fungal ingredient to control seb derm. There are oils in there that have anti-fungal properties. But to the best of my knowledge, none of the oils have been clinically tested on seborrheic dermatitis, rosacea or atopic dermatitis. I could understand how the oils helped my dry skin, but I was at a loss how four oils could be so potent. Caprylic Acid is found in coconut oil. It is known to possess anti-fungal and anti-inflammatory properties. There is anecdotal evidence that it helps control seborrheic dermatitis but, as far as I know, this has never been clinically tested. It is used as a treatment for another fungal infection – Candidiasis. The Candida species of yeast that causes Candidiasis has a number of similarities with the Malassezia yeast. The Malassezia yeast is closely associated with seb derm, but the two are quite distinct. Without clinical testing, I can’t assume this ingredient alone was the silver bullet. Decanoic Acid is often called Capric Acid. Capric Acid is another of the fatty acids present in coconut oil. It too has anti-fungal properties known to control the Candida yeast. In combination the two acids have antioxidant properties, they quickly penetrate and condition the skin and hair and they have an unlimited shelf life! But neither is proven to control seb derm. Sea Buckthorn Seed Oil is known to possess high antioxidant, hemostatic and anti-inflammatory properties . The oil contains vitamins A, B1, B2, B6, C, beta-carotene, minerals, amino acids, and fatty acids. According to Web MD, some people use it to prevent sunburn, for healing wounds, rashes, bedsores, burns, cuts, acne, atopic and seborrheic dermatitis, dry skin, eczema and skin ulcers. But little to no clinical testing has been performed on the success of these. There are also many claims that it is beneficial for treating rosacea. Which may explain why it drastically reduced the redness in my skin. These claims haven’t been the subject of any true peer reviewed research but there is a lot of anecdotal evidence online on various forums that it helps many people. Understanding the ingredients leaves some clues as to why it was an excellent treatment for my dry skin. I’d essentially applied an oil based moisturizer on to my skin and left it there. Quite why it helped my other conditions is another matter altogether and requires further explanation. It’s fair to say that this isn’t your typical treatment. 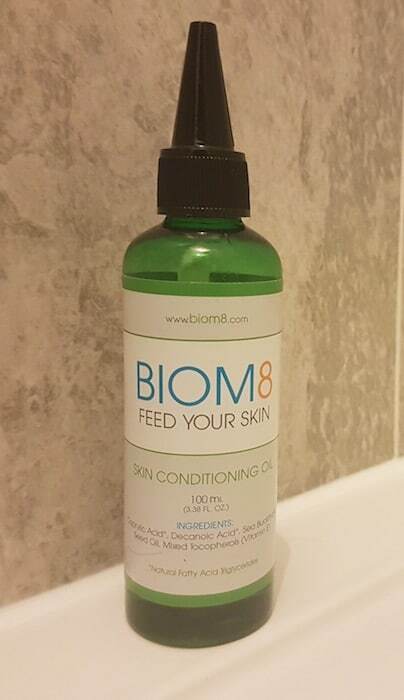 BIOM8 Skin Conditioning Oil is described as an oil formulated for normalizing the skin’s natural defense barrier. How it does this requires an understanding of the skin defense barrier. There are many layers to the skin. The very outermost layer is called the Stratum Corneum – the layer of skin we can see and touch. Our sebum and sweat form a protective layer on this layer – a protective layer often called the Acid Mantle. This layer of skin, oils and sweat forms a crucial first line of defense against unwanted bacteria, the sun, chemicals, pollutants and other potential irritants. Its function is absolutely crucial. Think of this these two layers as bricks and mortar; the cells of the skin form the bricks and the sebum and sweat form the mortar. This combination forms a waterproof moisture barrier that minimizes water loss and helps the skin retain moisture. As we get older our skin naturally dries. As we reach 40, the lipids we produce decrease substantially. This is why we are more prone to dry skin at this age and beyond. We are now starting to understand just how important this barrier is – it forms a key element in a number of skin conditions. For example, people with atopic dermatitis have a weaker skin defense barrier than non-sufferers. You probably won’t be surprised to know that sufferers of Seborrheic Dermatitis also have an imbalanced skin barrier. 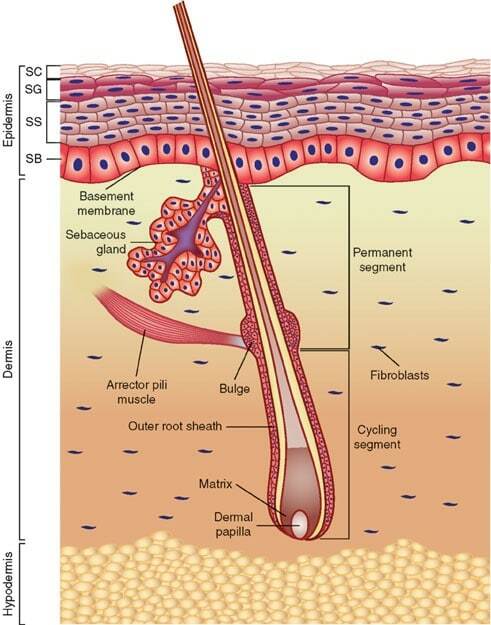 Seb derm is thought to be associated with Malassezia. There is a proven correlation of seb derm flares with a proliferation of Malassezia species  Malassezia is known as a lipophilic yeast – meaning that it feeds on oils. There doesn’t appear to be a direct correlation with the amount of sebum a person produces with seb derm. But rather, some people react to this yeast whereas the vast majority don’t. It has been proposed that the specific composition of skin surface oils may be a factor in seb derm development . More specifically, for sufferers of seb derm, triglycerides and cholesterol are elevated; however, squalene and free fatty acids are significantly decreased. In short, having a healthy, balanced skin defense barrier is essential for a number of skin conditions. Fixing the skin defense barrier can reduce symptoms of these conditions. Before you go and start applying random oils on your skin – a word of caution. Some oils will irritate rather than help. For example, oils high in Oleic Acid can initiate a seb derm outbreak and worsen conditions . In fact, Olive oil is actually used to feed fungus in lab conditions. So smearing your face with Olive Oil (55 to 85% Oleic Acid) as a moisturizer is perhaps not such a good idea if you suffer from seb derm. That said, there are oils that the fungus finds quite repellant. Malassezia feeds on fatty acids with a carbon chain length of 11 through to 24. Oleic Acid has carbon chain length of 18 – it is literally food for this yeast! The two primary fatty acids in BIOM8, Caprylic Acid and Capric Acid have carbon chain lengths of 8 and 10 respectively. Malassezia won’t feed on these oils. In addition, these oils have antifungal properties. Rather than feeding the yeast, they are helping to create a hostile environment for the yeast to proliferate. While replenishing the fatty acids lacking in seb derm sufferers. There is a patent that studies this effects of controlling fungal infections with various oils . The patent states that one of the disadvantages of shampoos is that you wash out the anti-fungal agents relatively quickly. Whereas a leave in oil like BIOM8 Skin Conditioning Oil has hours to do its work. I will be taking a great interest in the development of oil based treatments. It’s a relatively new area in treating skin conditions. But judging my it’s success, it’s here to stay. 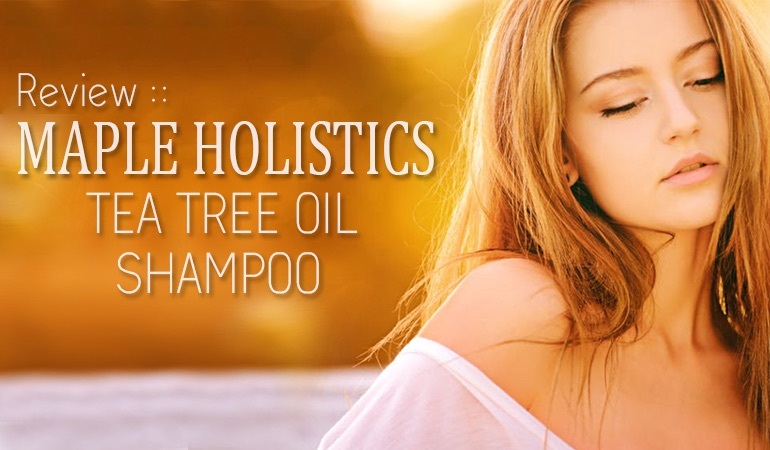 Oil based treatments appear to have a number of advantages over a typical shampoo treatment. Not least, no surfactants or harsh preservatives are added. And there’s no washing off the antifungals while they are just starting what you put them there to do. This treatment has four ingredients! Compare that to the average shampoo! 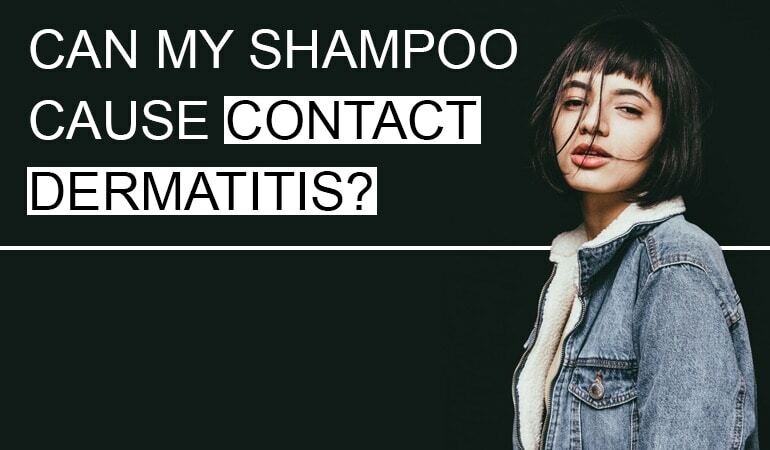 I’ll still use shampoos on my scalp. Unfortunately, oils are impractical to apply through the hair (however BIOM8 have a nozzle for that!). We’ve made great strides with anti-fungal agents over the years but we are only starting to discover the potential of oils to normalize the protective layer, the role of diet etc in controlling seb derm. These are very, very exciting times. 5. Bolognia JL, Jorizzo JL, Rapini RP, et al. Dermatology. 2. Spain: Elsevier; 2008. Yes you can use it on your scalp. It may be impractical for anyone with medium to long hair as its an oil. Imagine applying olive oil to your scalp and not your hair. But if that doesn’t bother you then yes, you can. I use it on my beard as I had real trouble with beard dandruff, but my hair’s too long to use it on my scalp. I need something for my scalp. The itching drives me crazy. The doctor prescribed a steroid oil to apply but it is so messy and hard to apply to my scalp at night. Most of it ends up in my hair and it is quite pricey. Also, I am always waiting for a call from the nursing home that my mother-in-law has fallen again and I can’t go anywhere with oil all over my hair! Any suggestions. I also have Rosacea. Hi, I’m really thinking about purchasing this product as I’ve heard many good things about it. Could I apply this directly to eyebrows, since that’s where my seborrheic dermatitis is.. Please reply. I see no reason why not angel, other than having oily eyebrows. Check out their site though as it’s not something I’ve tried myself. est ce que ça marcherais pour le psoriasis? This isn’t for skin flaking, or at least it didn’t do much for me in that area however it works amazing as an anti-inflammatory for skin redness and inflammation caused by seb derm. I have used a very expensive prescription cream called Elidel which also works well for eliminating skin inflammation but there is a huge drawback with that stuff – it is a powerful immune suppressant so if I used more than a tiny, tiny amount my immune system would weaken to the point where I felt like I was about to get a cold almost every time I used it. The Elidel cream worked very well but I would say this oil worked even better but with zero side effects and a tiny fraction of the cost ( I paid 50 dollars for the Elidel but that was with insurance – it actually costs about 1000 dollars per tube). Absolutely fantastic feedback John. I’ve not tried the spray but still use the oil on my face a few times a week and I’m on my fourth or fifth bottle. My redness has gone. It is such a great help. Hi Chris, My dad suffers from seb derm for years and I’m really trying to help him and have found your information on chain lengths and fatty acids really interesting. I noticed that one of the ingredients in this oil is Sea Buckthorn Seed Oil. This has a 40% composition of linoleic acid. Is this ok? How strict should you be fatty acid control in products? Thanks so much for your site, it’s very informative. Hello Chris, Thanks for this site with all of the exhaustive research and information you provide. A big thank you. Can I ask if one only uses BIOM8 once per day? I ask mainly because I wear sunscreen on my face and must remove with some type of cleanser to apply this product, correct? Or then just rinse in morning after washing night before and apply BIOM8? But my skin would be VERY dry not applying a moisturizer the night before after cleansing. I use coconut oil, jojoba, etc., to moisturize, which I understand from reading your info only feeds the SD yeast. My question is don’t I have to cleanse my face first before using BIOM8 (either in evening at an earlier time then applying product after rinsing with cool water later or cleanse night before and apply product in morning)? Or can I apply directly over sunscreen (and very rarely minimal make up) without cleansing first? Can I use twice a day? I have facial SD, (ears, nose, eyebrows and eyelashes) Tinea Versicolor, mild roseacea and flaky, extremely dry skin). Thank you so much. I should also mention that I have been cleansing by “oil pulling” method whereby after applying olive oil or coconut oil, etc., I wait ten mintutes then apply very hot wash cloth over face several times letting steam to clean dirt and sunscreen off my skin. I has helped at least soften the flaky skin. So now I would be cleansing with a Castille Soap. Next month will likely start using a sulphur soap if needed. But if I don’t NEED to remove sunscreen before BIOM8 that would be optimal. So can i just apply directly over uncleansed face? Thanks again! Thanks for the kind words Sarah and best of luck! Let me know how you get on. I still use the oil myself but nothing works for everyone unfortunately. Any recommendations for the type of facewash to use before applying the oil? Im currently using CeraVe Hydrating wash, but not sure if its working. You chose not to discuss how Malassezia interracts with Sea Buckthorn Seed Oil. Any comments on that ? Its hard to say exactly as the oil has so many different compositions. It does contain a lot of Vitamin E which is an anti inflammatory and good for conditions like eczema. The proof is in the pudding though, and for many people (myself included) this combination of oils has worked wonders for my face. Like every treatment out there though, it helps some people, but not everyone. I have had seborrheic dermatitis flare ups since elementary school. Nothing, not even prescriptions have worked. Products I had would temporarily relieve the pain and even reduce inflammation, but nothing truly made it go away beyond 1-3 days. Awhile back, the patches on my face became so painful I started looking for something to really get at the cause. I somehow found this product and have had “normal” skin. The flare ups with painful red patches are gone. The flakes are gone. My skin is what everyone else seems to have and I couldn’t be more grateful. Great feedback Mandy. 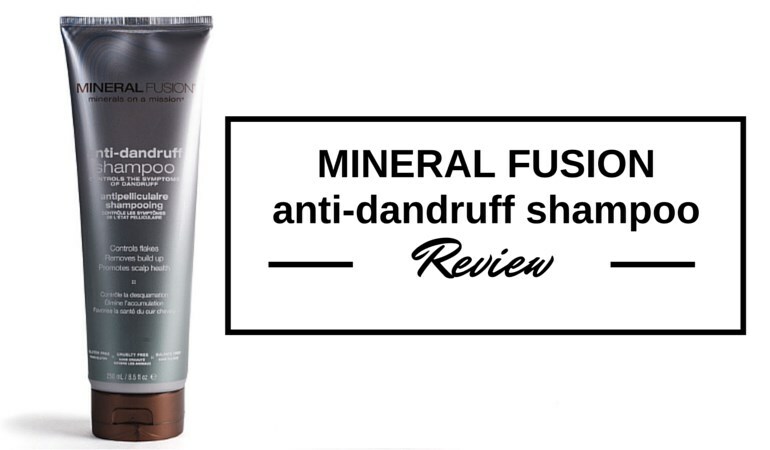 Its one of the few products that i’ve reviewed that I still consistently use.